Another victory for Liberian veteran forward, Anthony Snoti Laffor. Anthony Snoti Laffor celebrated his success at the club level in South Africa, with the ABSA Premiership Champions. The Mamelodi Sundowns have been crowned champions of Africa’s premier club competition, the CAF Champions League. 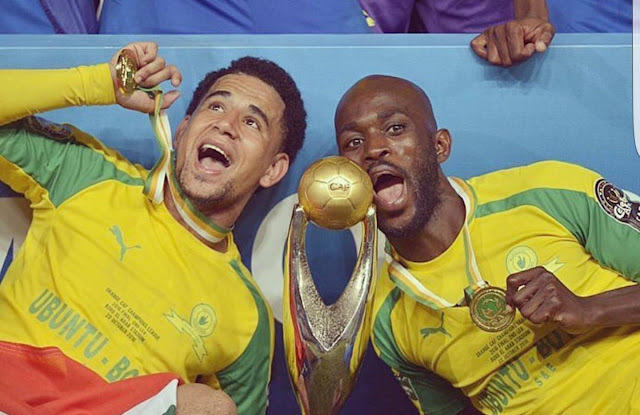 Laffor is the first and only Liberian to win the title after the Sundowns defeated the Egyptian premier league club Zamalek SC with a 3-1 aggregaton, on October 15, 2016, at the Lucas Masterpieces Moripe stadium in Pretoria, South Africa. Congrats Anthony, we are proud of you.